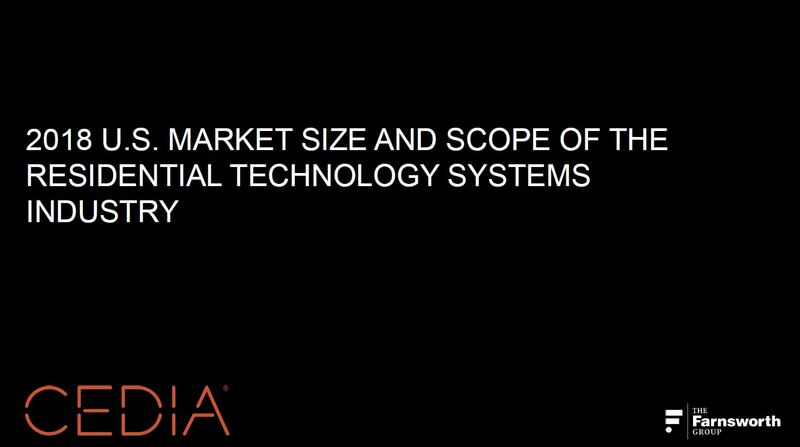 An annual study conducted on the residential technology systems industry to quantify, segment, characterize, and forecast the market at large; specifically, to obtain characteristics of companies working within the industry and the annual economic performance of the industry broken down by channel and product segment. CEDIA members who have renewed their 2018 membership receive free access. After purchasing, this document will be available to download for 90 days. To access, log in to cedia.net and select MY CEDIA then MY DOWNLOADS.